Steven Spielberg directed this classic film that became one of the most enduring action-suspense films of all times. Jaws was an instant blockbuster, a phenomenon, and today it is still acclaimed by critics and audiences alike. Steven Spielberg directed this classic film that became one of the most enduring action-suspense films of all times. 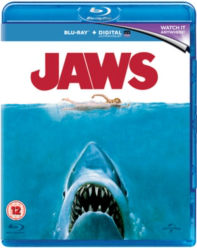 Jaws was an instant blockbuster, a phenomenon, and today it is still acclaimed by critics and audiences alike. Feature length feature documentary with never before seen footage and interviews with cast and crew, including Steven Spielberg, Richard Dreyfuss and Rob Scheider.